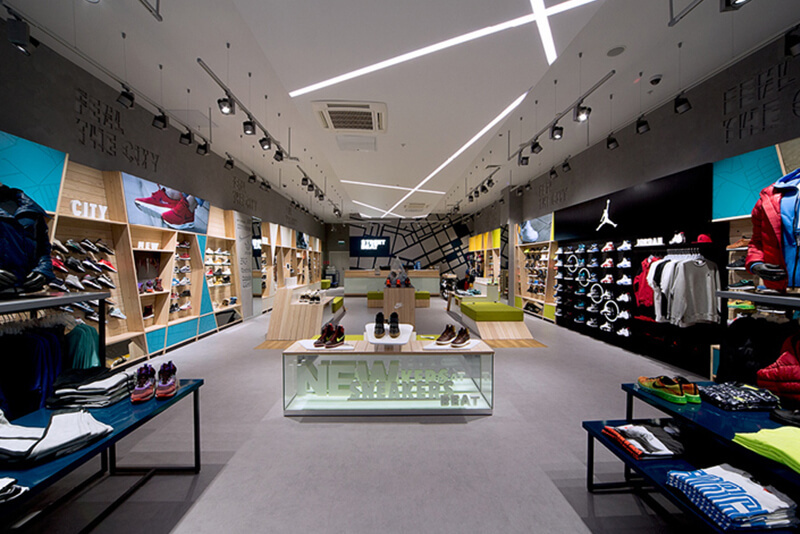 Urban cool meets city chic in an innovative new urban footwear retail store situated in the heart of Moscow. 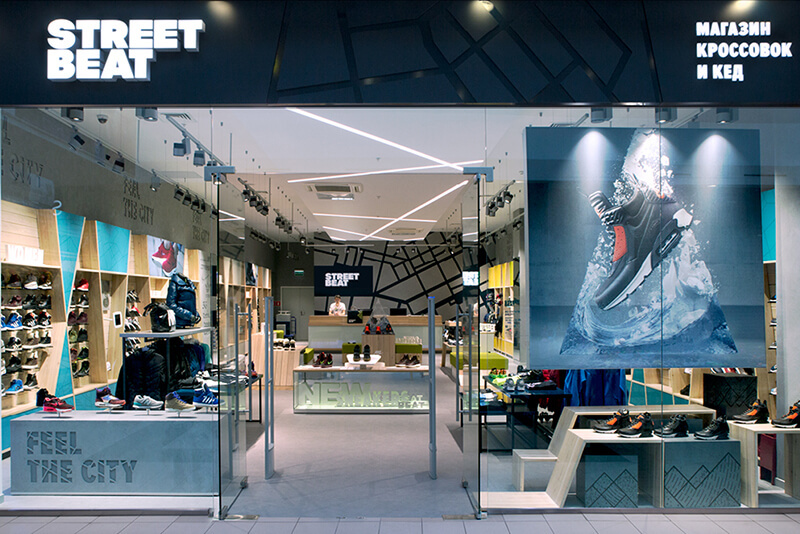 The new store, Street Beat, is the first multi-branded sports footwear store in Russia. 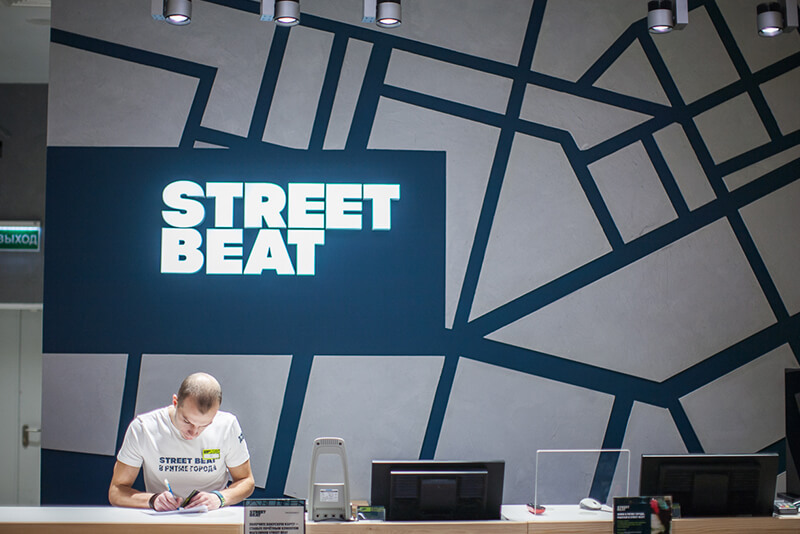 Street Beat is a new brand from Inventive Retail Group the retailing giant that manages Apple, Nike and Samsung stores across Russia. Products are carefully chosen to reflect the Street Beat brand identity: the spirit of city life; its energy and urban culture. 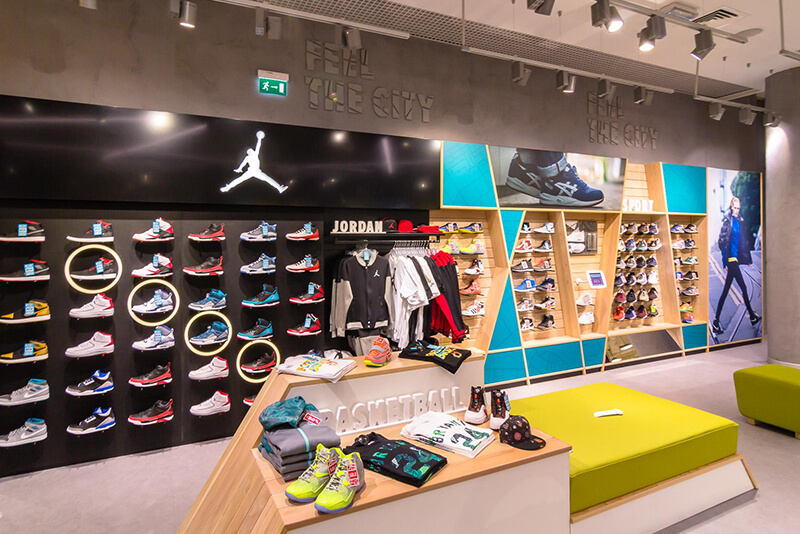 The retail space offers the customer a rich, immersive and sensory experience in a bright, fun and striking environment, full of energy and movement. Merchandising throughout the store is intentionally very different. Low-level geometric shelving, representative of the lines and angles of the city, create impact, while angular floor plinths give the impression of movement. Drawing customers to the store is easy through our combined use of giant graphics and a kinetic, moving product display, which together incorporate all the key principles of effective window display. 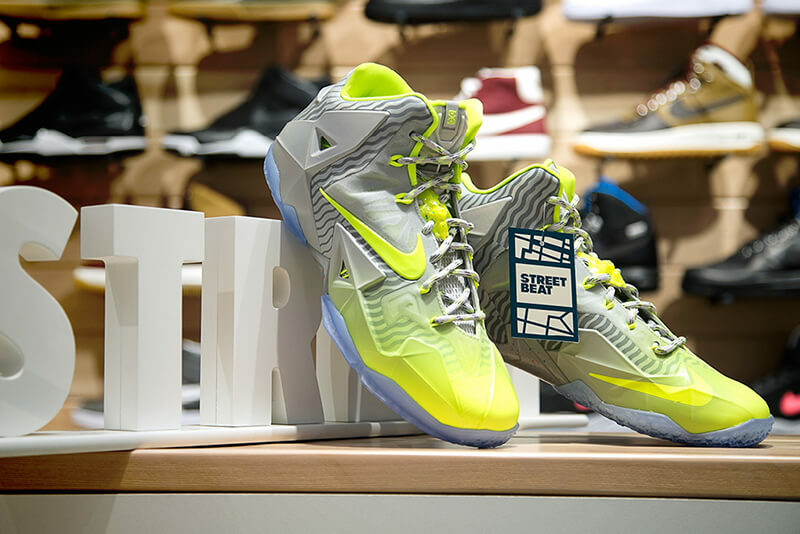 Once inside the store, customers can use interactive retail technology to help select their shoes. We created a multiple-choice computer game which is able to suggest various sneakers to a customer based on his or her choice of favourite city, food, colour, music or movie.